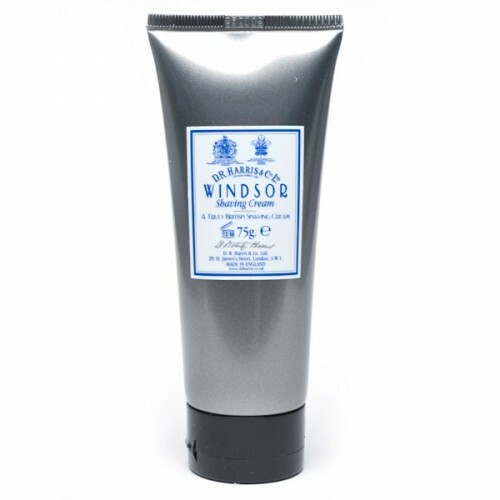 Windsor is the latest addition to our extensive selection of shaving creams.Windsor is a fresh, complex fragrance which starts with overtones of citrus and grapefruit, and matures into tones of black pepper and vetyver. All D. R. Harris shaving creams are top quality concentrated cream with a high proportion of glycerine for an extra soothing and moisturising shave. The cream should be applied to the face and lathered up with a good quality shaving brush that has been dipped in warm water, or be applied with the hands. This produces a profuse lather which will soften the beard for a more comfortable shave. Also available in a 150g bowl.